Perth Broome, Broome Darwin, Perth Darwin, Darwin Perth (via Alice Springs, Uluru & the Red Centre) & Epic 50 day tours *. * 10% off your next trip when referring a friend (upon confirmed booking). All participants are required to obtain travel insurance before undertaking this trip. Allow for additional expenses. Cancellation fees will apply depending on the proximity to commencement of the booked trip. 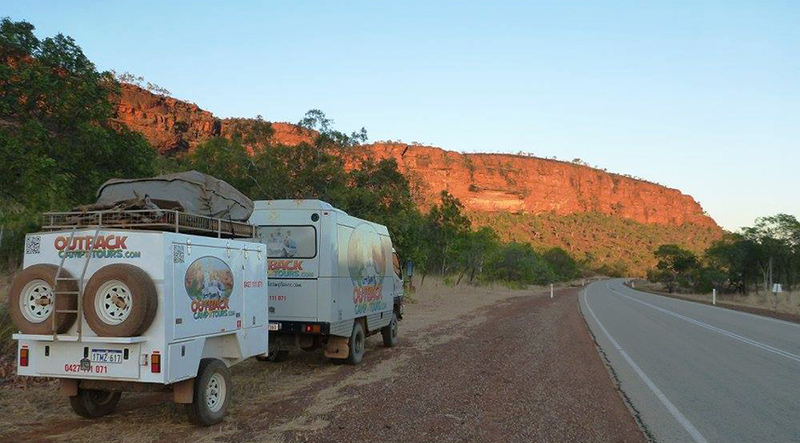 Outback Camp Tours is working hard and overtime to keep this outback adventure real and affordable as possible, to ensure that people from all walks of life can experience this great journey together.